So, when I found out that Delain, Sabaton and Nightwish were touring the States and were going to play in Nashville, Tennessee of all places, I knew I had to travel back to the land of my birth and cover this show as I knew that this was truly a special occasion. I bought a plane ticket, hopped on the plane and got myself back here to Tennessee for the first time in over three years. To see bands like Sabaton and Nightwish, who are very, very popular in Europe, arrive in Nashville was truly surprise. I must also admit that I was worried that there might not be a great turnout of people or the fans wouldn't show support to the band as they played…oh how I was so wrong. I have seen Sabaton about three or four times back in Europe before this show and they have never disappointed…ever. And this night was no exception. The band has so much energy on stage that people can't help but feel happy and get involved with the band. 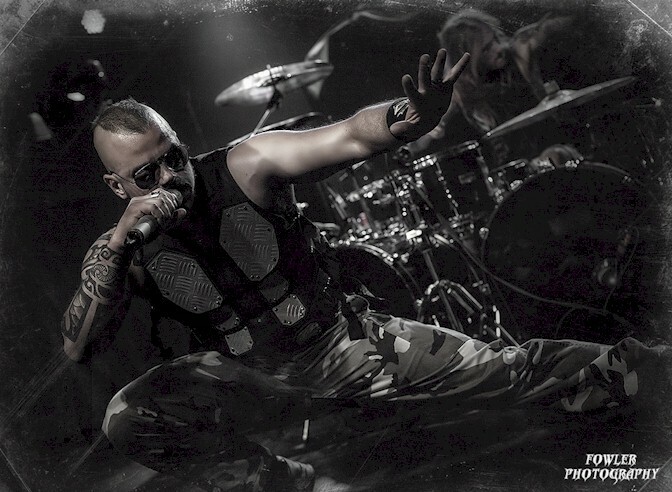 Joakim Brodén the singer of the band, comes out sporting a mohawk, camo pants, aviator sunglasses and a metal-plated vest and is always going crazy on stage. Nightwish for the past several years have been able to successfully enter the United States and tour here. This however was the first time the band has ever been in Nashville which is truly great and shows the band is ever growing their US fan base. Nightwish is now fronted by a new singer Floor Jansen and they are here supporting their new album, 'Endless Forms Most Beuatiful'. Well...I wasn't the only one eager to see the band because the crowd in Nashville was super excited and I was very impressed with what I saw from the crowd in the response they also gave Nightwish.